Another day, another Galaxy S10 Plus leak and that too before Samsung unveils its flagship series on February 20. The latest leak surrounds the larger smartphone of the upcoming family, with the device spotted being used on a bus or train. We’ve seen the design of the Galaxy S10 Plus several times thanks to countless renders and leaks, so it is safe to assume that this is the final product Samsung will launch next month or at least a prototype. 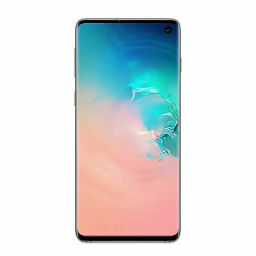 Galaxy S10 Plus renders had been shared earlier, revealing the flagship to have far slimmer bezels than the Galaxy S9 Plus, with a dual front-facing punch-hole camera that’s positioned on the right-hand side of the device. The phone in the image fits the same description as the one mentioned before, not to mention that it too sports razor thin bezels. The case surrounding the handset is probably for security purposes and while it looks bulky, it’s strapped on to protect the secrecy of the phone, but it looks like the person carrying the device wasn’t doing a good job. 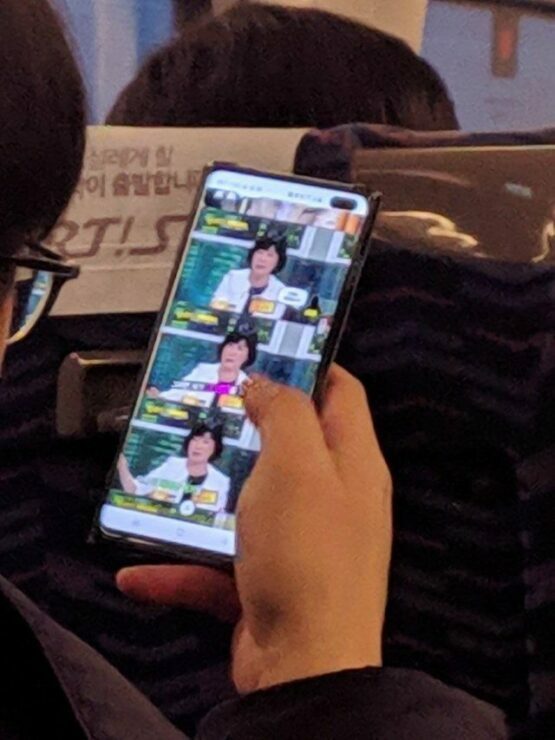 The Galaxy S10 Plus will sport a massive 6.44-inch Super AMOLED screen, but the person is comfortably gripping the device. This means that the overall footprint of the flagship might be smaller, leading to a better one-handed use for normal-sized hands. Overall, the design looks impressive, and the other specifications of the smartphone look good too. Just yesterday, we reported that the Galaxy S10 Plus obtained impressive Geekbench scores, all the while featuring 6GB of RAM. However, that might not be the only impressive hardware aspect of the device, as a previous rumor states that the highest-end version of the Galaxy S10 Plus might feature 12GB of RAM. Not just this, but Samsung is reportedly packing in a generous 4000mAh battery for the regular model, and a massive 5000mAh cell in the 5G-ready variant. If the battery is going to be the first selling-point of the Galaxy S10 Plus, its camera is going to be the second. The flagship is rumored to feature a total of five cameras in total; two at the front and three at the back. 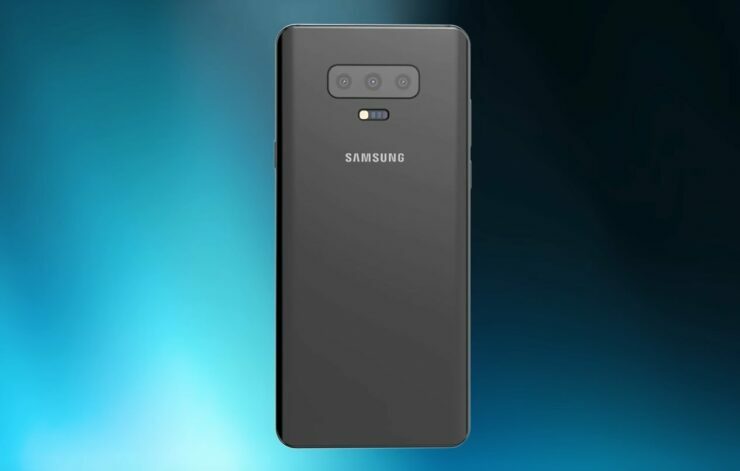 This could be the first time we see Samsung incorporate 3x optical zoom in its high-end offering since the competition has already started to outfit these features and more. From what we can see, we’re convinced this is the Galaxy S10 Plus in the image, but what do you think? Tell us your thoughts down in the comments.